Learn About The Value of Vinyl Fences! Vinyl fences have become an extremely popular choice in fences today, and for many great reasons. 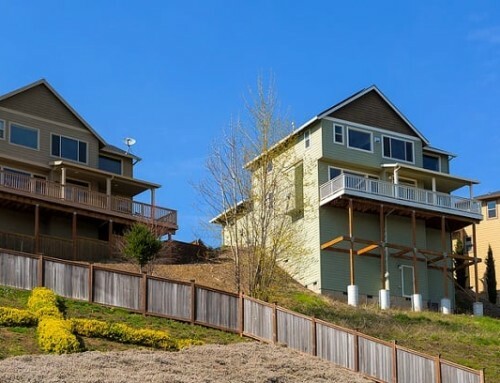 For fencing on residential properties, vinyl offers homeowners many advantages over traditional wood fences, making them a preferred fencing option today. Vinyl fences can sometimes require a little more work to install than some other types of fences, but when installed by a skilled vinyl fence company, the results can be exceptional. One of the most significant benefits to having a vinyl fence installed by a vinyl fence company is the low level of upkeep required to maintain these fences. 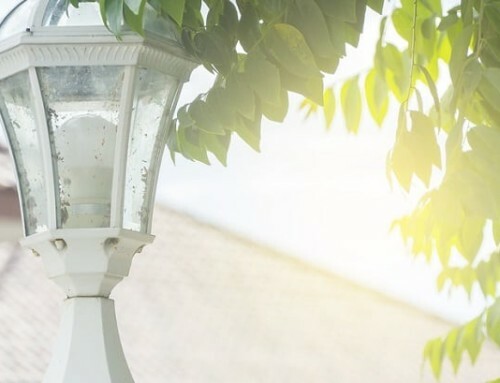 Unlike many other types of fences that require a lot of effort to preserve and prevent rotting or corrosion, vinyl fences only require occasional washing with soapy water and a hose to remove dirt and grime. Wood fences need to be scrubbed, then painted or stained every few years to protect them from the elements and keep them looking their best. Some metal fences require periodic rust removal or rust coating; and even live fences, like hedges and bushes, require regular trimming. Vinyl fences, on the other hand, will not decompose or lose their look, and only require monitoring of the wooden post bases the vinyl fence company mounts them on. Vinyl is also a long-lasting, insect proof material and offers a long service life in comparison to other types of fencing. When properly installed by a vinyl fence company, these fences can outlive wood fences and many other types of fences, making replacement unnecessary for many years. Vinyl fences are also mostly weatherproof, and able to withstand extreme heat or cold without suffering any damage. Occasionally, a piece of vinyl fencing may crack or break in extremely cold weather if it is struck by something, but replacing broken parts is also much easier than on most other fences. 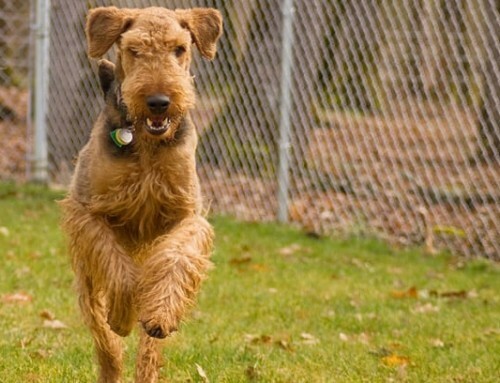 Most vinyl fences slide or bolt together, making fence repair a breeze. Another important feature of vinyl fencing is that it is available in many different styles and colors, allowing homeowners to have the fence of their dreams installed. 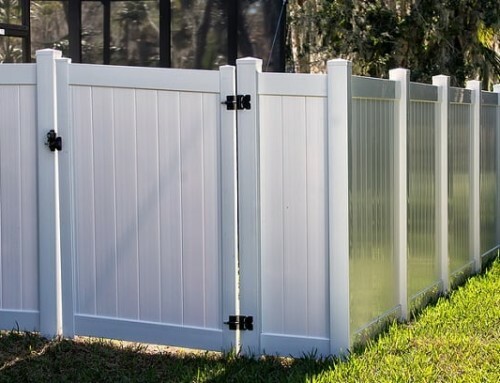 Vinyl fence installers say that various types of board, picket, and privacy style fences are available in vinyl, and come in a variety of colors. 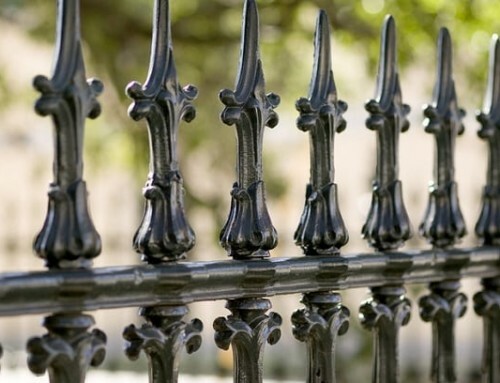 Vinyl is also used to create fences that resemble other materials like brick, stone, slate and wrought iron. The options are endless with vinyl fencing, giving homeowners the chance to put up an impressive looking fence that is nearly maintenance free, sometimes at a fraction of the cost of the real thing. Any beautiful, well-installed fence will generally add value to a home property. Vinyl fences tend to be valued more overall, because of the many advantages mentioned above. Homes with an attractive vinyl fence are sometimes more desirable than those with wooden or other fences, as a result. Based on these important benefits, it should be easy to see how fences installed by an expert vinyl fence company can be a great option for any residential property. Vinyl fences do cost a little bit more than some other types of fences, but because of their many qualities ,they are actually more affordable in the long run. Homeowners looking for fencing ideas, and who are interested in learning more about the many types of vinyl fences available today, should call a professional vinyl fence company, today! Need A Vinyl Fence Company In College Station TX? College Station Fencing Offers Many Fencing Options!